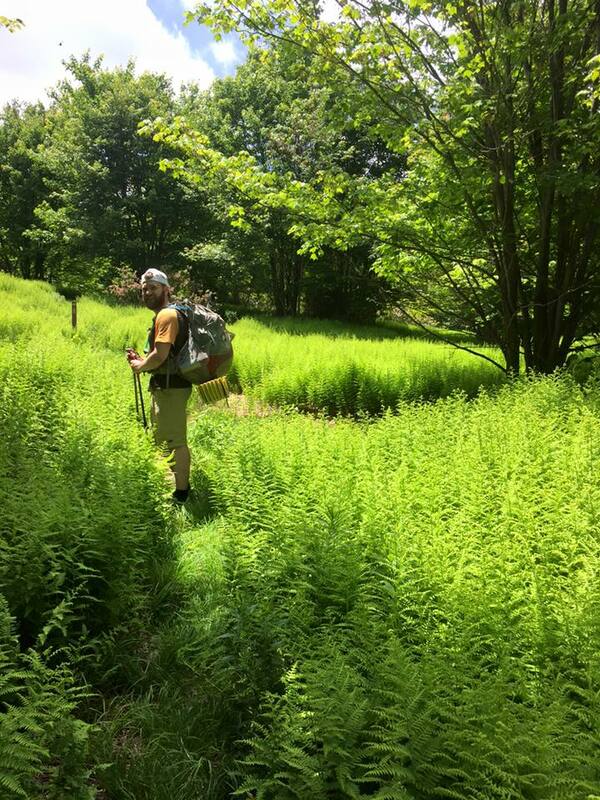 The Chuck Keiper Trail (CKT) is my favorite backpacking loop in Pennsylvania. This 47.25-mile loop along route 144 between the small towns of Snowshoe and Renovo is remote and rugged. Even though there are several shorter loops in this trail system, the area is still used sporadically by hikers. The first lesson of the CKT: Wild! 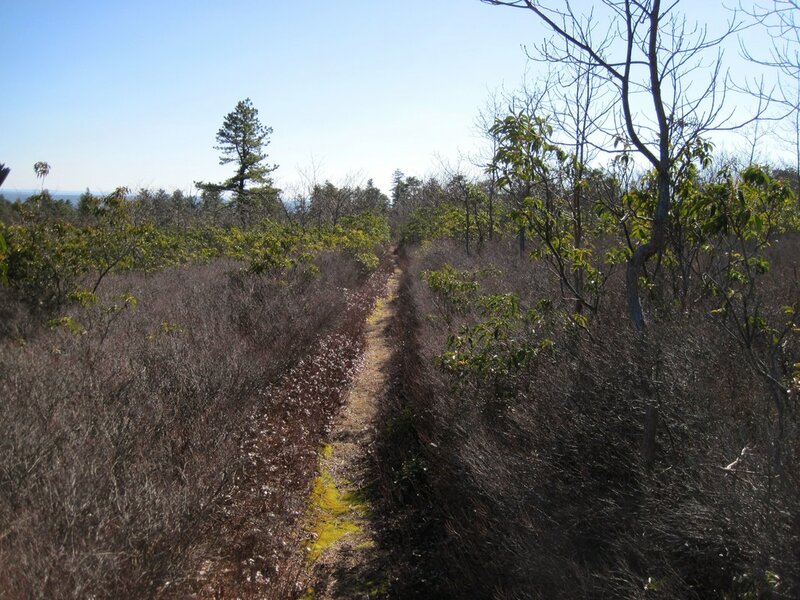 All sections of the trail are contained within the Sproul State Forest, including two state designated Wild Areas (W.A.) with exceptional value streams: Russell P. Letterman W.A. (formerly Fish Dam W.A.) and Burns Run W.A. These areas are truly wild as the only access is on foot. 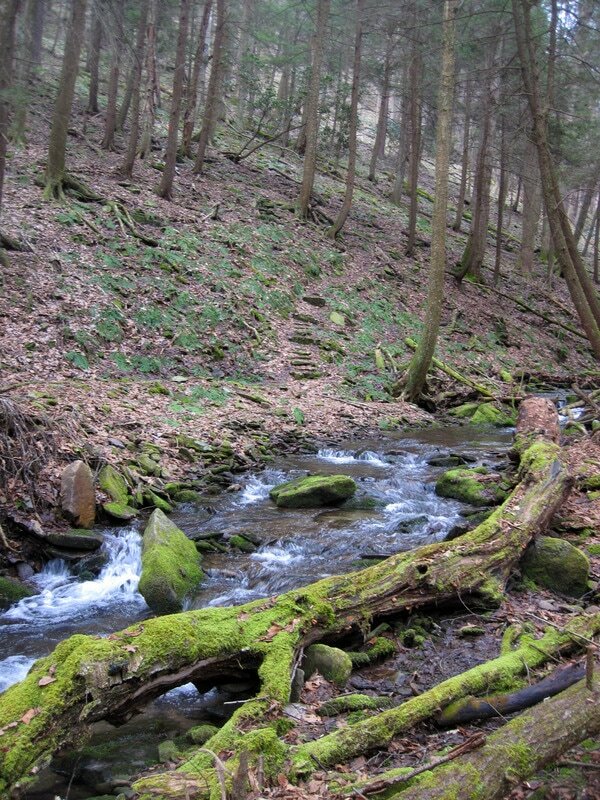 Yost Run is also listed as Exceptional Quality by the Department of Environmental Protection (DEP). The entire loop requires several thousand feet of climbing and descending. Trailhead parking for the CKT is rather accessible, but the trail itself is extremely remote. Cell phone coverage is very limited in this area, even on the one paved road (route 144) that intersects the trail. The path does not go near any towns or developed areas. One Easter Sunday, I returned to my car after a weekend of post-holing through the snow to find that my car's battery was dead. Since I had no cell phone coverage (and apparently I'm too intimidating to hitch a ride), I walked a long eleven miles on route 144 before being picked up by some friendly locals. After being driven to a gas station in Snowshoe, I was able to contact a friend who picked me up three hours later. Lesson two: be prepared for anything on the CKT. Lesson three: ecosystem variety. The southern sections of trail lead along a rather open plateau. This ecology results from tree diseases, a harsh growing environment, and most importantly, an extensive forest fire from 1990. 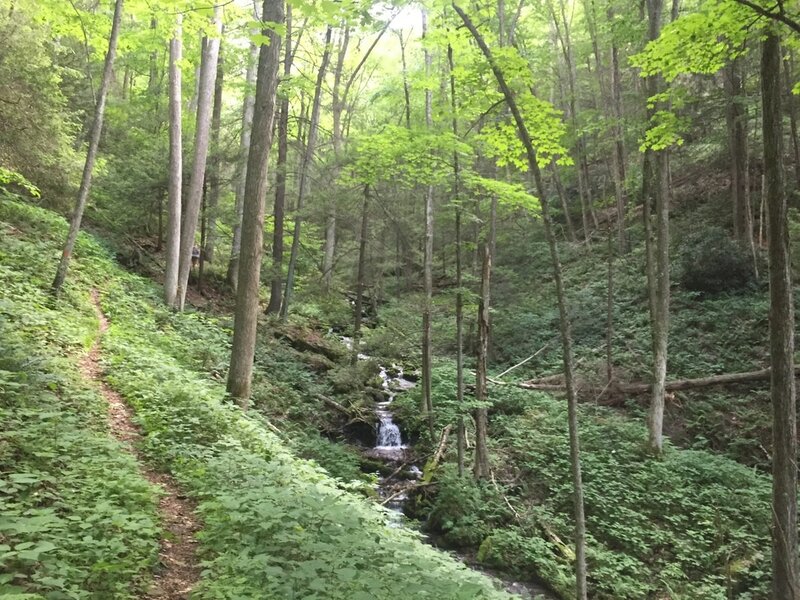 The northern and western sections of trail lead down into and climb straight out of steep mountain ravines. Features here include waterfalls, flowering vegetation and geologic history. The CKT is marked with orange blazes, indicating a hiking only trail. Other trails may be marked with red, blue, or yellow blazes. Other routes are entirely un-blazed. This leads to lesson four: pay attention and bring maps! The trail is often overgrown, making blazes and maps essential in some areas. PA DCNR maintains the CKT, along with volunteers from the Keystone Trails Association. There have been several relocations and trail updates throughout the years. KTA has built several bridges along the trail, too. NOTE: the free DCNR maps printed in 2015 are dangerously inaccurate. Many parking areas and other notable landmarks are missing from these maps! 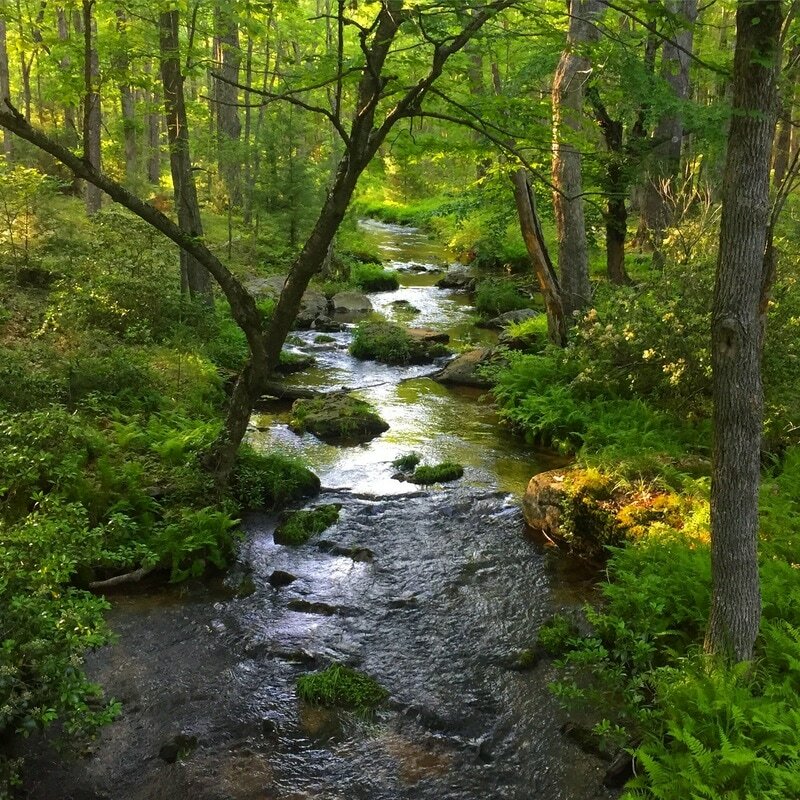 The CKT is not only remote; it also boasts some of the best wildlife in Pennsylvania. This leads us to lesson five: Watch your step! The area that incorporates the CKT hosts the densest population of black bear per square mile in PA. I often see bear sign, and sometimes even real live bear while hiking in this area. Hunting is popular here so most bear are timid of humans. Snakes also thrive in this environment. My friend Drew and I spotted four rattlesnakes and two non-venomous snakes within five miles while scouting for my guidebook. Locals have told me that the Renovo Medical Center stocks more rattlesnake anti-venom than any other center in PA. In addition, elk and coyote also now inhabit this area. Be prepared to see wildlife while hiking in this area! Of course, be sure not to spoke, provoke, or harass any wildlife, because animals will defend themselves, and help can be several hours away. Enjoy your time along the Ckuck Keiper Trail, but also respect the area for what it is: Wild!